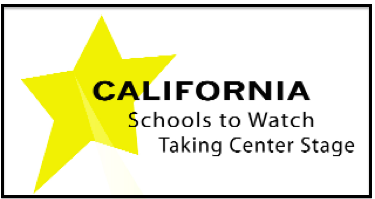 Luther Burbank was one of only seven new schools given the designation by the program, which is sponsored by the California Department of Education, California League of Middle Schools and California Middle Grades Alliance. Fifteen previously honored schools also retained their designation. Schools are chosen based on exceeding the state’s API growth target for thee of the last five years scores were calculated. Administrators must also submit a self-study evaluation and narrative application, and each school is then reviewed by a team of experts. Luther Burbank was once one of LAUSD’s worst-performing schools and plagued with gang problems, according to a 2012 story by EGP News. The school was reconstituted by the district in 2011, which meant that all of the school’s teachers and staff had to reapply for their jobs. In 2010, Luther Burbank had an API growth score of 663. By 2012, about 80 percent of the school’s teachers were replaced as a result of the reconstitution, according to Highland Park-Mount Washington Patch. The school’s growth API score reached 794 in 2012 and 786 in 2013, the last year scores were calculated. *An earlier version of this story incorrectly labeled EGP News as “EDP News.” We have also removed a quote that was attributed to EGP News, but the source contacted LA School Report and claims to have never made the statement.